Barcellona Pozzo di Gotto is the most populous town in the province of Messina, after the provincial capital. Located on the northern coast of Sicily, the name originates from the homonymous Spanish town, while the appositive comes from the village Pozzo di Gotto, which was unified in 1835. Pozzo di Gotto, in fact, already existed in the XVi century, was built around a well dug by Philip Gotto, while Barcelona was founded in the XVII century and belonged to the territory of Castroreale until the middle of the XVIII century. Its strategic location makes Barcellona Pozzo di Gotto an ideal starting point for excursions towards the Nebrodi and Peloritani Mounts or towards the Aeolian Islands and Mount Etna. The Mother Church of St. Sebastian goes back to the XVII century, demolished in 1936, it was rebuilt in neoclassical style on the ruins of the original structure was built. Inside it preserves fine art works as "The Virgin and St. Francis" of Gaspare Camarda, a reliquary of the XVIII century and a painting of the XV century that depicts San Basilio, of an unknown author. 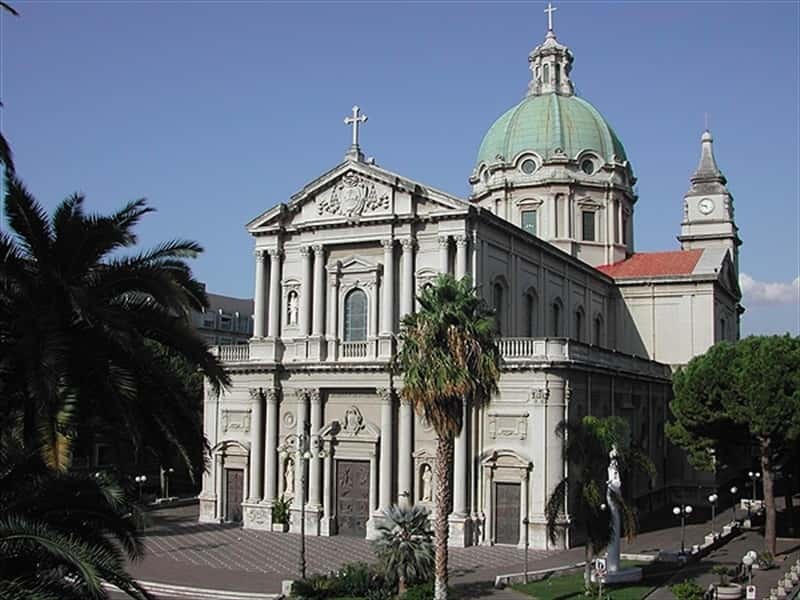 Interesting are also the XVIII century Church of the Basilians, the City Library and the Ethnological Museum. This town web page has been visited 17,492 times.